Newark, Ohio - May 6, 2016 -- Margeaux LeVere, a CTEC Visual Communications Program student is First Place winner of the 2016 Licking County River Round Up Poster Contest. LeVere is a junior in instructor Jennifer Kinsley's Visual Communications through Art class. LeVere's poster was selected from nearly 50 entries. River Round Up Committee members will present a $500.00 scholarship check to CTEC at 9 a. m., Tuesday, May 10, 2016 at Granville High School, 248 New Burg St, Granville, OH 43023. The funds will be used to advance science and art programs. Licking County area media is invited to cover this event. Licking County River Round Up (webpage and Facebook page) is an annual, county-wide, waterway cleanup event in the Licking River Watershed. Hundreds of volunteers participate in the event by collecting trash and debris along shorelines and in the water. In 2015, volunteers removed over 1,800 pounds of trash, 730 pounds of recyclable materials and 267 tires from the Licking River and its tributaries. 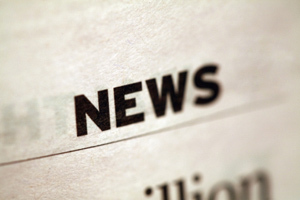 River Round Up is co-hosted by numerous local government agencies and organizations. The poster contest was open to all school-aged youth in primary or secondary schools in Licking County. Posters were to reflect water pollution awareness and encourage volunteer participation in the River Round Up. 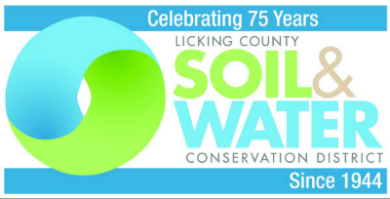 For more information on the Licking County River Round Up, contact Denise Natoli Brooks at Licking County Soil & Water Conservation District at 740-670-5330 or denisebrooks@lickingswcd.com. For more information or to schedule an interview, contact: Denise Natoli Brooks at Licking County Soil & Water Conservation District at 740-670-5330, denisebrooks@lickingswcd.com.